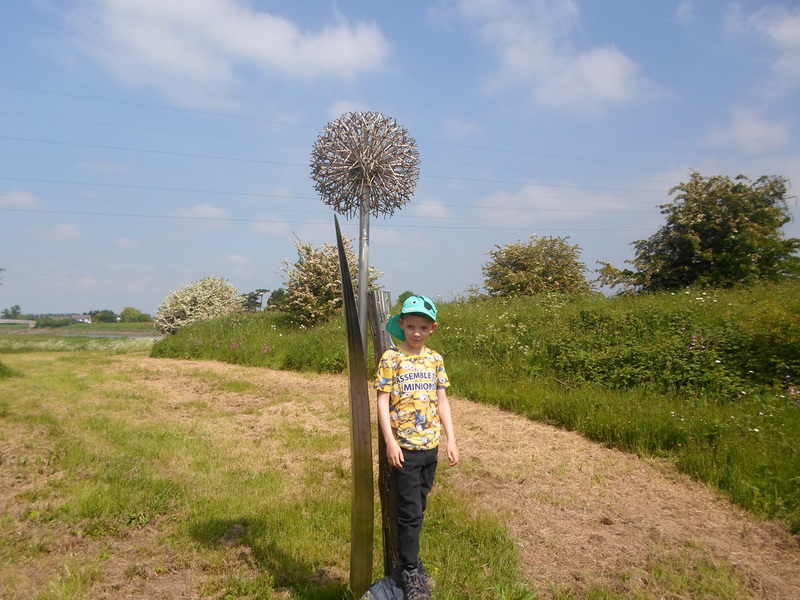 We visited relatives this Bank Holiday so we took the opportunity for a walk in a completely different area. 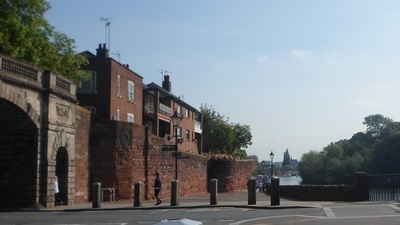 Chester has lots to offer and if you’re looking for a short walk the City Walls are ideal, with historical points of interest along the way. 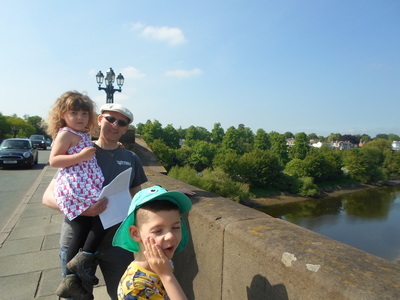 The Visit Chester website has lots of useful information. 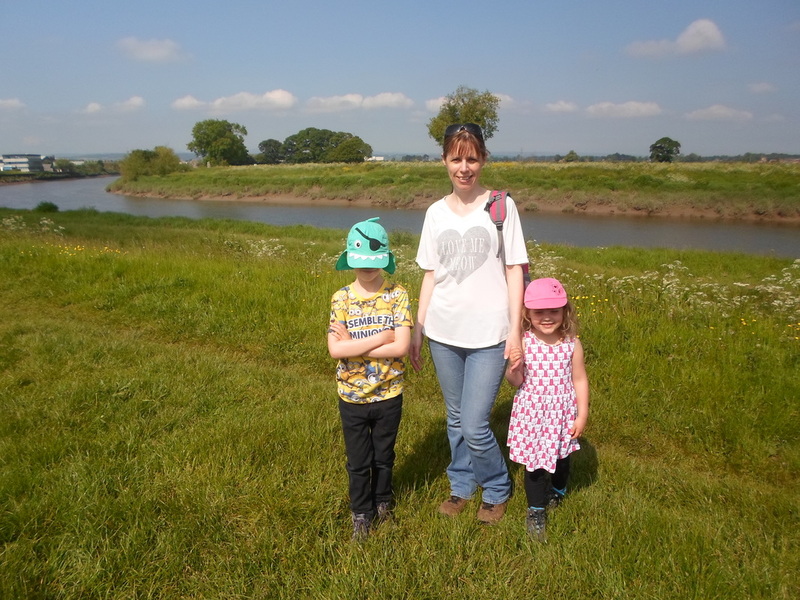 We decided to try something a little longer walking up river to Saltney and Higher Ferry. You can view our route here on my Viewranger map. We first made our way along the bottom of the City Walls, setting off from near the weir, walking past the University and up to Grosvenor Bridge. There’s a car park here should you need somewhere to park. This promised to be the highest climb of the walk and the rest was relatively flat! 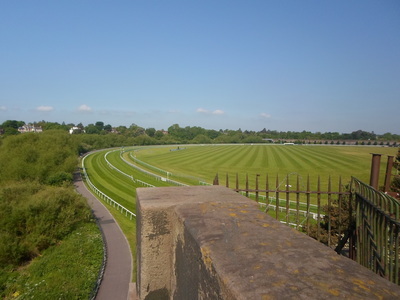 A quick view off the side of the bridge to the river Dee and the Chester race course and we made our way to a footpath tucked away in the trees on the right hand side leading us down to Dingle Bank. ​We had escaped the gloomy weather of Yorkshire and were lucky that the sun had come out for us here. Following a little footpath and making our way through swanky residential streets, we eventually picked up another little footpath at the side of substation that took us under the railway and out beside the golf course. The kids were deciding along the way which nice house they would buy when they were bigger! 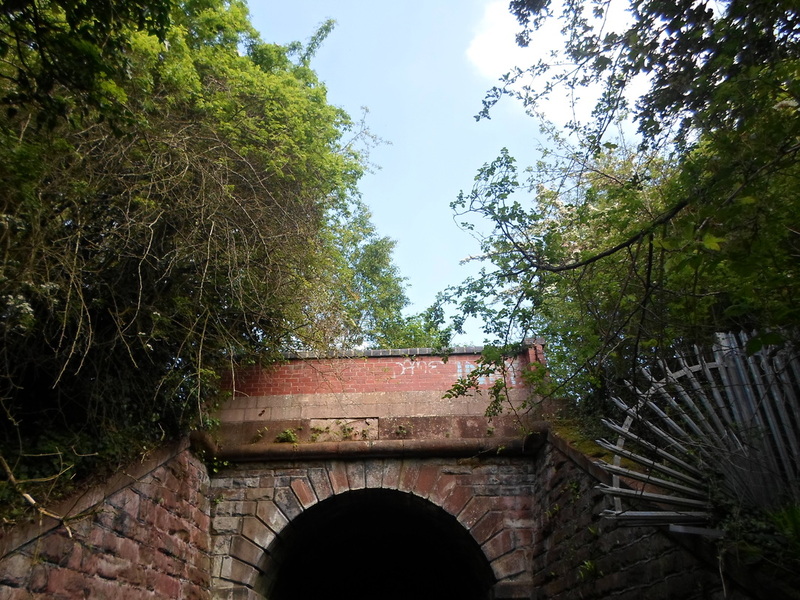 The footpath under the railway bridge was a little spooky and we all did our usual “echo sound, echoing” shouting! 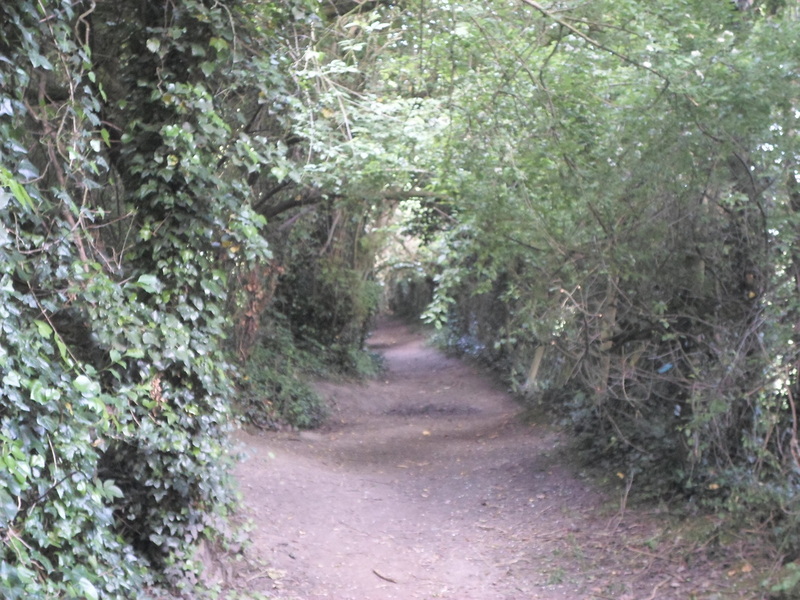 Following this path beside the golf course we walked under a tunnel of trees. The pictures don’t do the natural tunnel justice and it led us out onto the banks of the river. 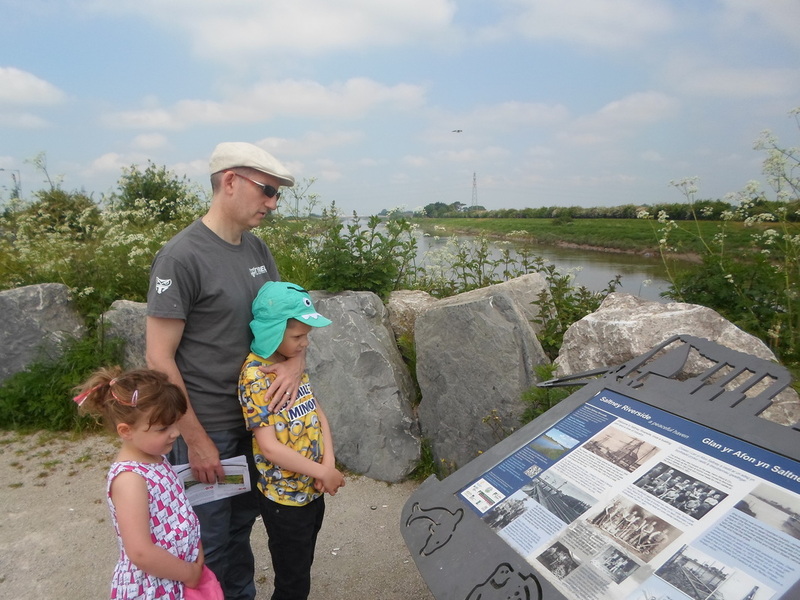 ​After navigating our way through a large commercial estate we came to River lane, Saltney. The kids were thrilled that we had crossed the border into Wales, “What? We’re in another country?”! 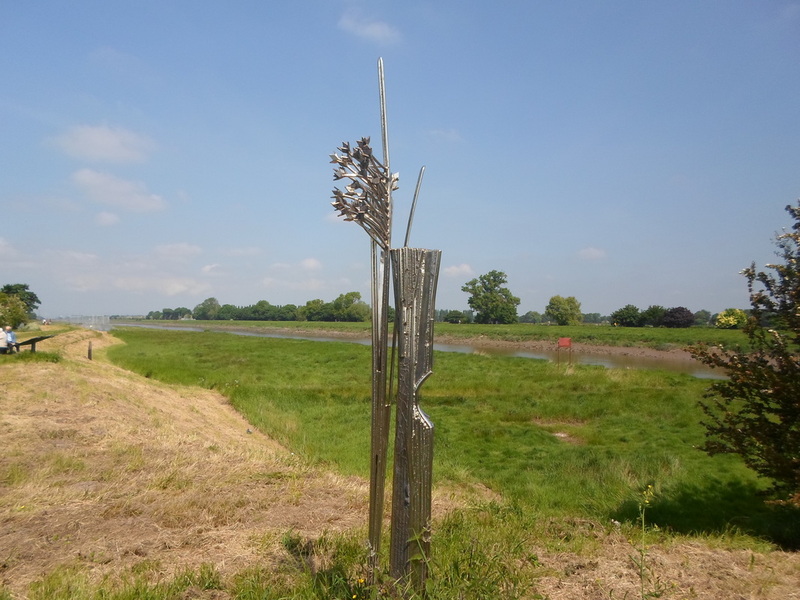 Here this part of the river bank has been regenerated with a wide cycle/walk path and for majority of our walk we now followed this to the footbridge at Higher Ferry. 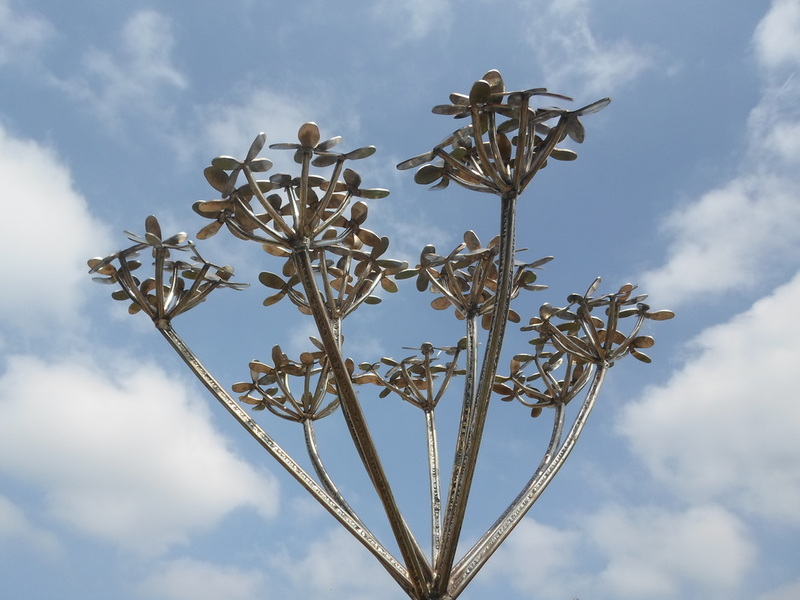 Along the riverside path are four fabulous sculptures by artist Michael Johnson, seven foot high and reflecting the local plant life in the area. They are absolutely beautiful, I would love one in my garden! 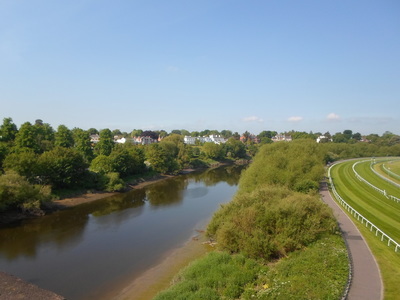 ​Having crossed the footbridge, turning right, we started the walk back along the other bank of the river towards Chester, dodging the many cyclists also enjoying the long path. 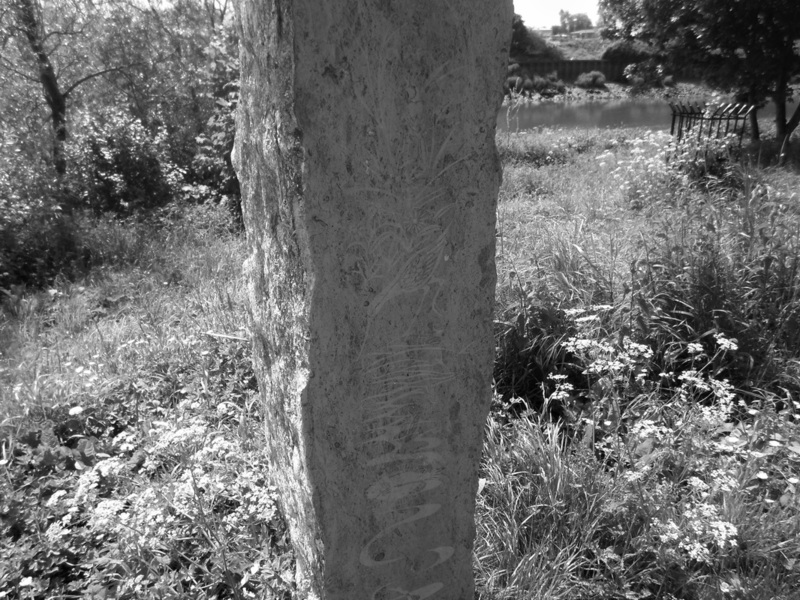 You could actually keep going and walk to Connagh’s Quay another 6 miles along the River Dee if you turned left. 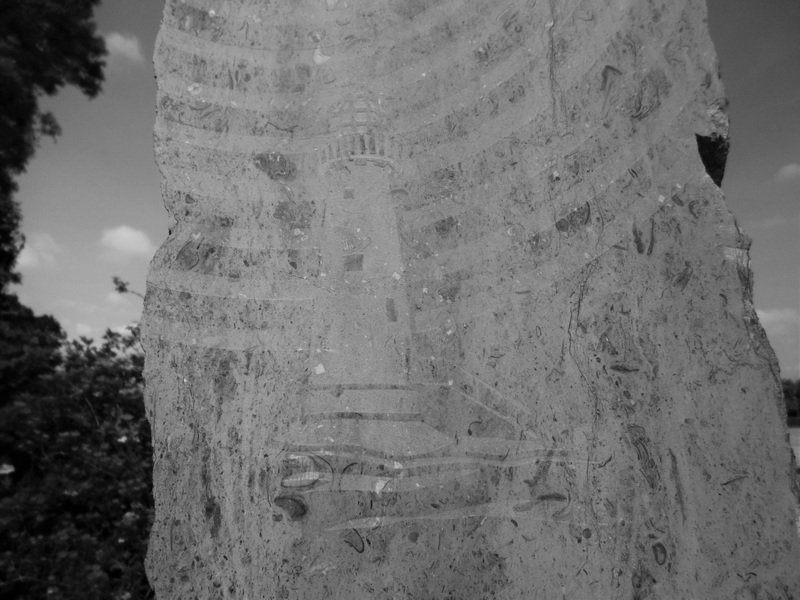 Further along the border between England and Wales on this side is marked by two granite boulders, etched with pictures including a Lighthouse, Dipper and moon. 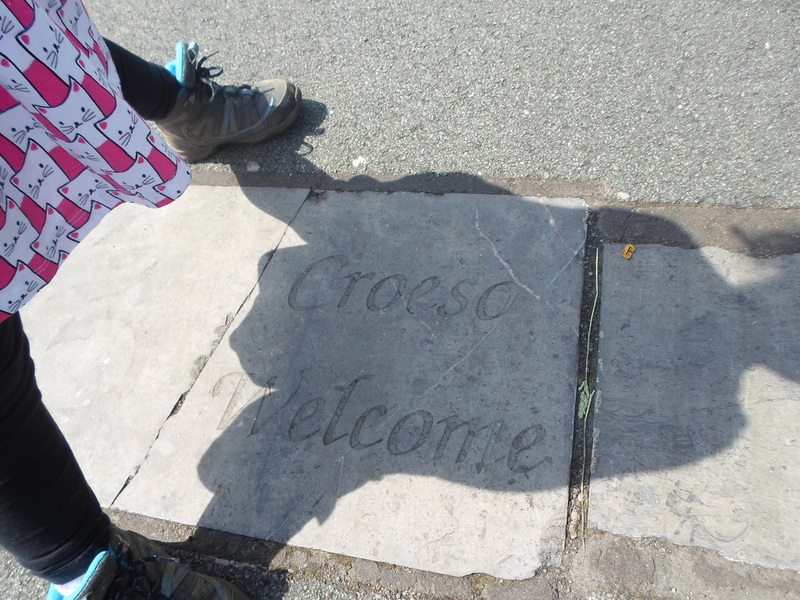 The kids loved being in both Wales and England at the same time. The path is long and winds only slightly, it’s quite smooth and easy to walk on although after a few hours in the beautiful sunshine we were flagging a little bit. 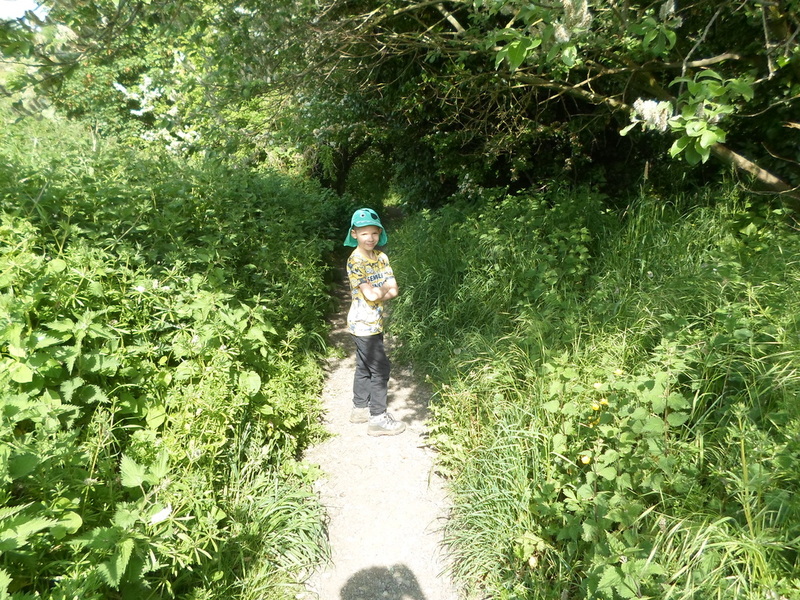 There’s lots of plants and wildlife to look for on the riverbank, we possibly saw a rat (!) and some beautiful birds – must pack a bird spotting book so we know what they are next time! 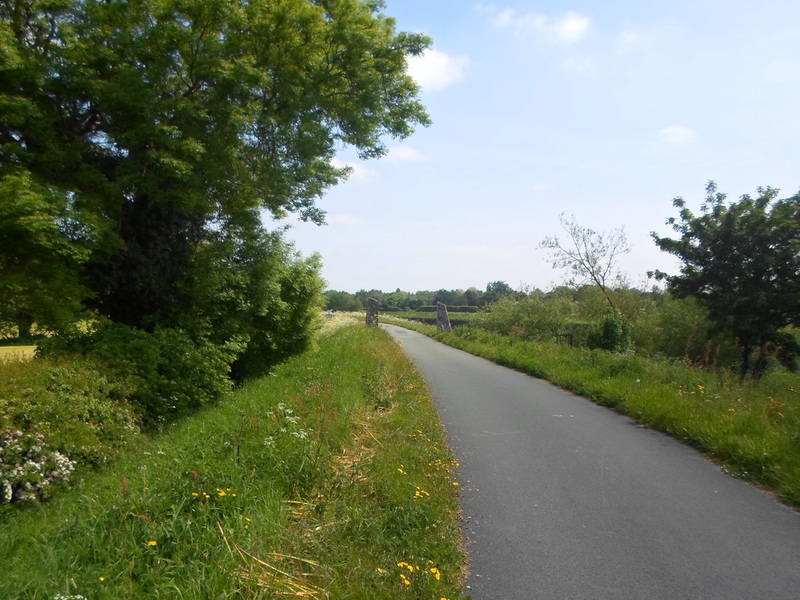 Lots of vegetation each side which did result in little lady getting nettle stung. 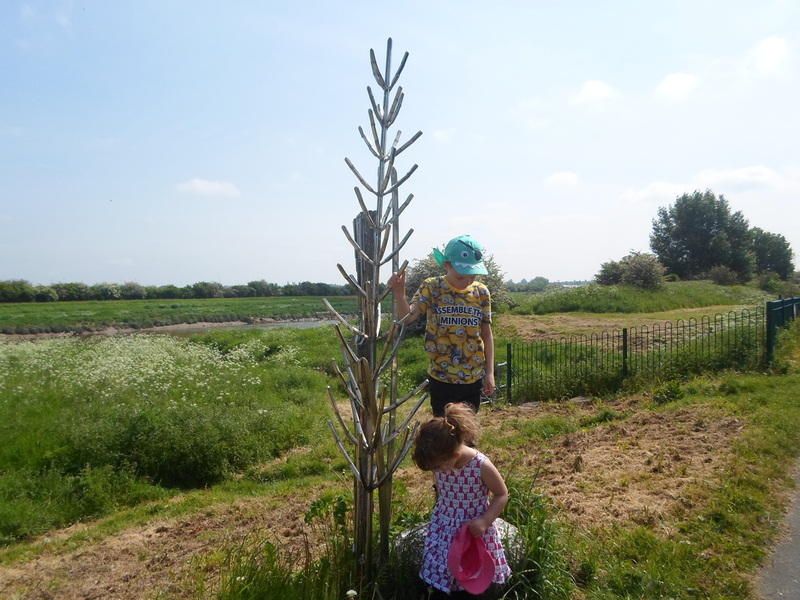 A handy dock leaf growing and Mummy and big brother being silly with piggy back rides soon had her laughing again. The promise of ice cream when we got back to Chester and she soon forgot that her leg hurt. You can’t go wrong on the path and we followed it back into the centre of Chester, past a park, some new build apartments and after popping under the city walls and then back up onto them we were more of less back at the bridge. 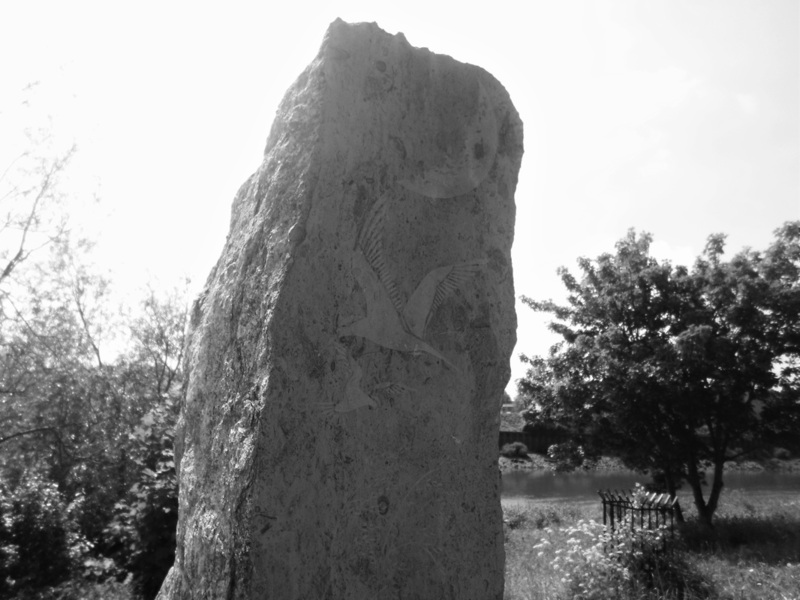 We crossed the road and followed the Walls back to the weir and the starting point of the walk. We were all treated to the most amazing ice cream from ‘The Café at the Walls’ which we highly recommend, lot of flavours to choose from. Little lady was so much happier and the nettle sting was almost forgotten. 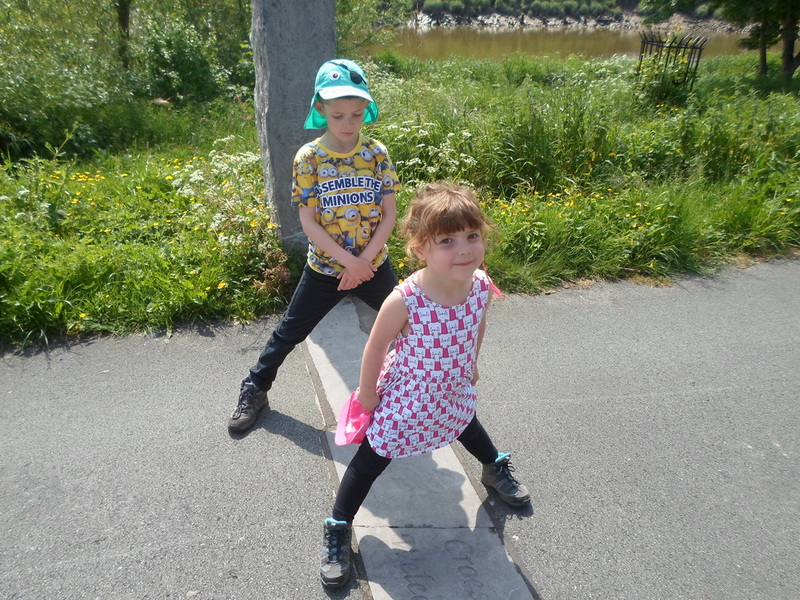 Our walk was just over 6 miles long and quite flat, it took us just over 3 hours with recovering hips, a little legged 5 year old and a few sit downs on the many benches along the river side. All views are my own and I have gained no financial incentive from writing this blog. Looks like a great walk, and the ice cream sounds fab-always good to have a treat to look forward to at the end of a walk! I love exploring new places, Chester looks beautiful.